Vloggers Manny and Dodie, who, together, boast more than a million YouTube subscribers, host the new online TV series, created in partnership with production company Endemol. Each week they’ll entertain viewers by taking part in unusual sports like parkour and house running, and enjoying action-packed experiences like stunt driving and virtual-reality gaming. Fans will have the chance to feature in some of the episodes, and there will also be guest appearances from other big YouTube names throughout the series. The show will include seasonal specials celebrating major events, from music festivals to Halloween and Christmas, and each episode will have a lively #CokeTVMoment where an everyday moment is made even more special. CokeTV builds on the critical acclaim of the award-winning channel in Germany, which has attracted over 268,000 subscribers and 29million views since it launched in 2014. 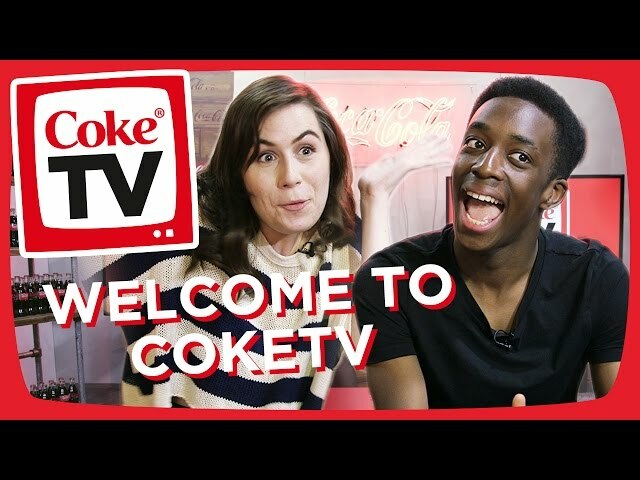 In addition to Great Britain and Ireland, Coke TV has also been launched in France and Spain with local YouTube stars, all of which will be supported with a digital marketing campaign. Join Manny and Dodie every week, Thursdays at 4pm, for a brand new #CokeTVMoment. For regular updates on each new episode, subscribe to the CokeTV YouTube channel.